This large shaggy muppet is Sprocket … another entry in the special Dogs We’ve Loved series — a series that pays tribute to those dogs whom we’ve loved in life and continue to love today, who live on in our memories, in our hearts, our souls, and through the very important photos we create of them. You can see other entries in the Dogs We’ve Loved series here. Sprocket’s session was actually an Honor Session™ … it just was not actually intended for him. The Honor Session™ was booked for older sister Basil. 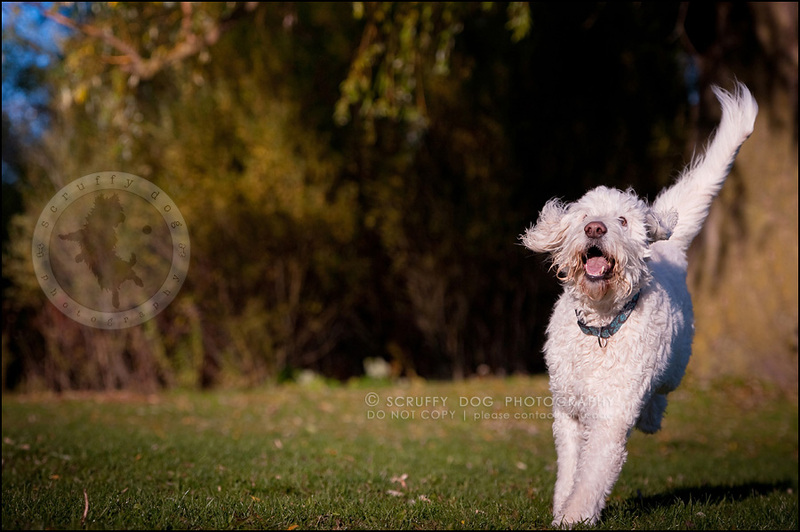 During their session Sprocket was so full of life and energy … seemingly in his prime at only nine years of age, and running circles around his sister. As such, I was utterly shocked when I received guardian-Jayne’s phone call only three weeks after our session from the vet college moments after they had to make the difficult decision to let Sprocket go. The sudden discovery of a splenic tumor which ruptured had landed him in the OVC’s emergency, and there was no saving the vibrant, otherwise strong, brave boy. Jayne and I cried together over the phone … both of us in disbelief and shock. I will never forget this fabulous animal and his utterly charming energy. Dog-speed, Sprocket. I know wherever you are, you are having a blast and still running circles around Basil … but I feel confident that your spirit continues to reside in the hearts of Jayne and David. Laurie Arnold - Sprocket reminds me so much of my Vern. My heart goes out to this family! !